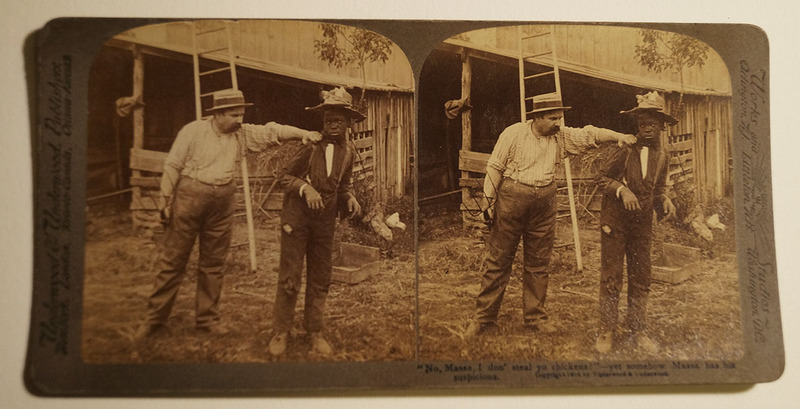 This stereogram, reinforcing racist caricatures, shows a white farmer holding a pitchfork in one hand and grabs the shoulder of a black youth. Titled “No Massa, I don’ steal yo chickens!“–yet somehow Massa has his suspicions.” There appear to be young chicks peeking through holes in the young man’s hat. Stereoscopy is a technique for creating or enhancing the illusion of depth in an image by means of stereopsis for binocular vision. Any stereoscopic image is called stereogram. Originally, stereogram referred to a pair of stereo images which could be viewed using a stereoscope. 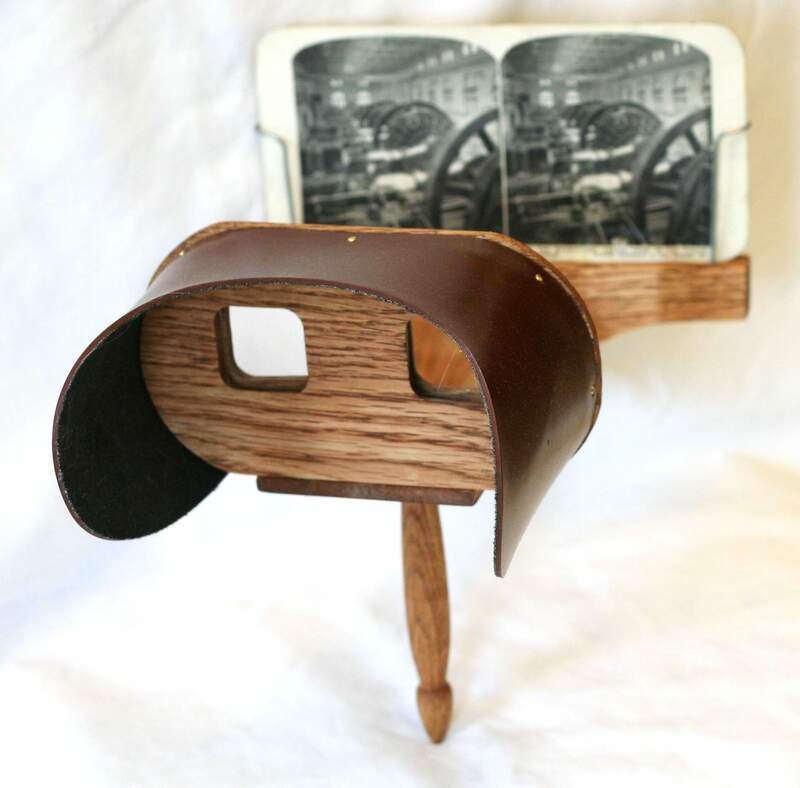 Stereoscope (below) not included.